This post is sponsored by Body Vega but all opinions are my own. Alrighty, today we are talking Fish Oil. Do you take it as a supplement? 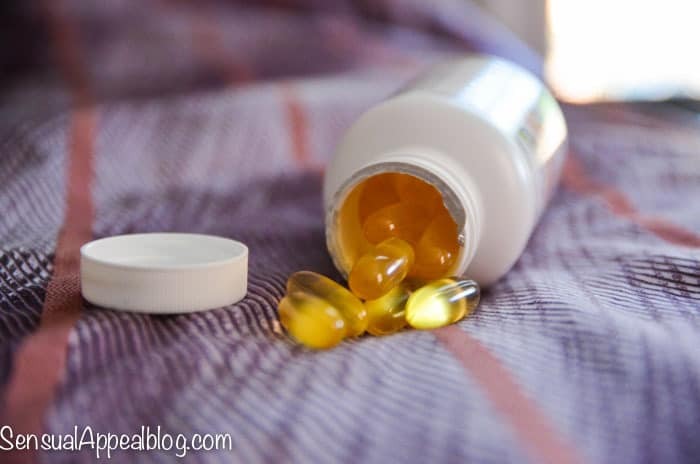 I don’t take a lot of supplements and I go through phases when I take more than other times, but the only supplement that has stayed constant through the phases has been fish oil. It’s the only supplement I actually take on a regular basis. But it wasn’t always like this. In the beginning, I hated taking it but did it because I “had to.” My mom would make me take it and I seriously despised the gross fishy aftertaste. My burps would smell of fish. Gag. So nasty. No, thank you. 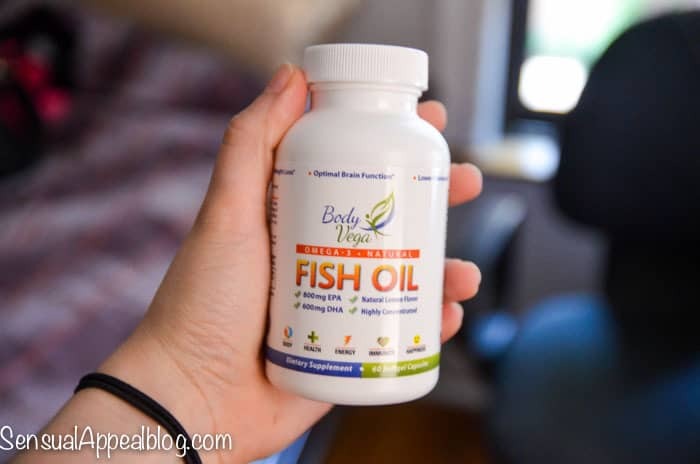 It took me a while to finally find the right supplement for me that didn’t have that aftertaste and when I did, my relationship with Fish Oil changed for the better. Now today, I want to introduce to you one of those amazing fish oil companies that has zero yucky aftertaste. But that’s not all that’s great about it (that’s not even their selling point, I guess it’s just important for me, haha). 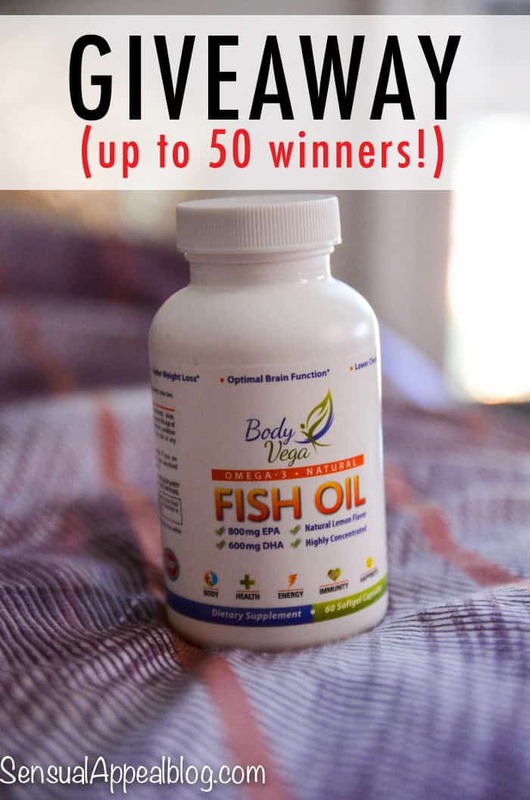 Body Vega is a new company and they sell their fish oil on Amazon and they have the best customer service, honestly – they are so sweet and you can tell they really just want to make the experience the best. Okay, okay – I’m getting ahead of myself again. #1 cleanest and purest Fish Oil: Sourced From Deep Sea, Cold Water Fish for Maximum Omega-3 Potency. Tested For Over 250 Contaminants, Including Mercury, And Molecularly Distilled For Guaranteed Purity. Straight from the source: From Chile and Norway, The #1 Recommend Source, So It Is Free Of Pacific Toxins Caused From Nuclear Fall Out.Maximum OMEGA-3 potency: Doctor Recommended 1,500mg Of Omega-3 Fatty Acids (Up To 50% More Than Competitors’) For Guaranteed Reduced Inflammation and Less Joint Pain, And High EPA and DHA Levels Support Long-Term Eye, Heart and Joint Health, While Boosting Mood, Focus, and Productivity. 100% Money Back Guarantee: Love It Or Leave It. If, For Whatever Reason, You Don’t Love BodyVega Fish Oil, Just Return The Empty Bottles For A Full No Questions Asked Refund. Top rated supplement company on Amazon: With A 4.9/5 Average Rating, Happy Customers Love BodyVega, And We Love Them! We Follow Up With Every Customer To Make Sure That They Are 100% Satisfied, Giving Us One Of The Highest Levels Of Customer Satisfaction Anywhere. If That Rubs You the Wrong Way, Feel Free To Grab a Bottle From Any Of the Other Brands on Amazon Who See You As Just A Number. If You Are Not 100% Satisfied With Your Purchase For Any Reason, We’ll Replace It Or Refund It, No Questions Asked. To make matters BETTER (ha! ), Body Vega wants YOU to experience how awesome they are too… for FREE! If you’re one of the winners, that is. It’s super generous of them and it’s SUPER easy to enter. Ready for this? Simply email BodyVega at sensual@bodyvega.com and in the body of the email simply state why you love Sensual Appeal blog. This giveaway is only available to people in the U.S. (because Amazon will only ship to people in the U.S.) Body Vega is doing this giveaway as part of their Amazon launch party. Participants should only apply if they are willing to leave them a review on Amazon after they’ve tried the product for a little while. Their email will not be used for any other marketing or spam purposes! Body Vega will be emailing winners as they are chosen. This giveaway is open until September 8th!